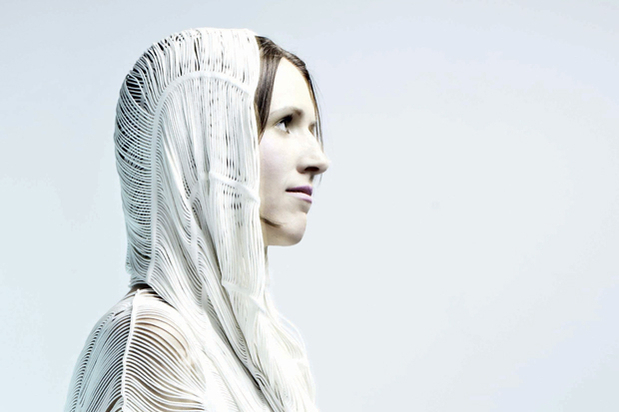 PB team up with Smirnoff x fabric for ‘Women Shaping Tomorrow’: Apply Now! 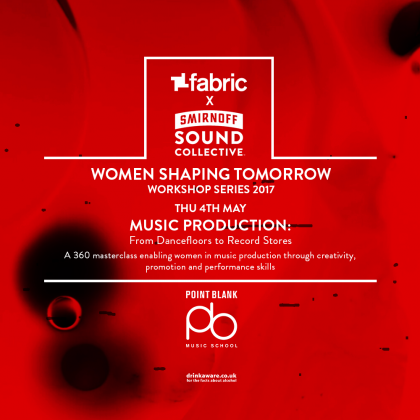 Point Blank have teamed up with Smirnoff & fabric, to host a free, exclusive music production workshop as part of the ‘Women Shaping Tomorrow’ series. This series of events has been designed to help break down barriers for women in electronic music through practical advice, mentoring and networking opportunities. Held within fabric, ‘From Dancefloor To Record Store’ is a 360 masterclass, designed to help inspire and enable creativity within music production, promotion and performance skills. 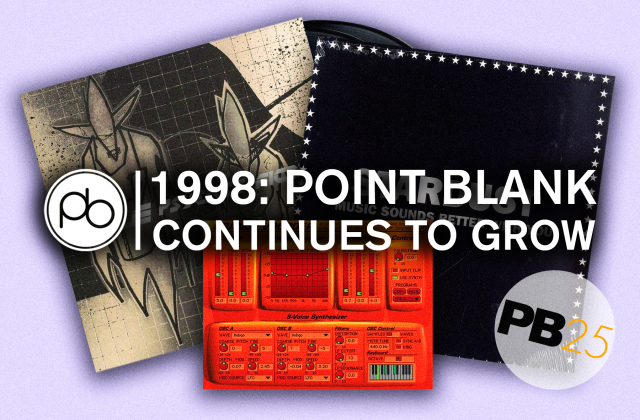 Kate Simko (DJ/Producer/Composer), Judy Griffith (fabric Booker) and Mandy Parnell (Mastering Engineer) will be sharing their knowledge and insight, with Carly Hordern from Point Blank as host for the evening. The program will include a session led by Kate about approaches to creativity within music production, a discussion panel, Q&A opportunities and a hands on synth/drum machine workshop with a Point Blank instructor. Guests are encourage to bring along an original production to play on fabric’s system and to the panel for creative and mixing feedback. There will also be opportunities to pass your tracks onto the fabric team and DJ network and the chance to shadow Kate and her team at the next LEO gig. Critera: You must be woman-identifying, produce electronic music, and be available on the evening of Thursday May 4th 2017. How To Apply: Please email carly@pointblankmusicschool.com to register your interest. Include your artist name, a Soundcloud link to your best production, and a sentence or two about yourself. Due to the high volume of applicants, we are only able to respond to those who are successful. Applications close Sunday April 23rd 2017, and successful applicants will be notified by Thursday April 27th. We look forward to hearing from you! 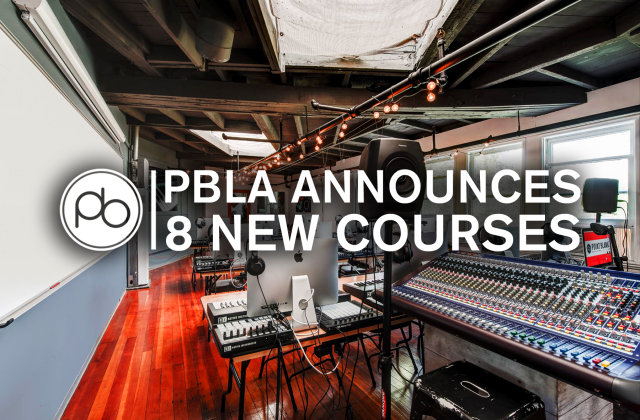 If you’d like to learn music production, mixing or mastering, Point Blank offer courses at every level. Our BA (Hons) Music Production & Sound Engineering Degree in London is one of the most comprehensive courses out there, with modules covering mixing, sound design, production and much more. We also offer an online alternative, in the form of our new online BA (Hons) Music Production & Sound Engineering Degree. We are currently offering a huge 20% off online courses until April 30th, so make sure you enrol soon! For more information, contact our course advisors on +44 20 7729 4884. If you are a resident of the USA, you can reach us on 323 282 7660.